To see photos of Hooves And Wheels activies, new photo album web site! Click Here to see new photo album! Is devoted the best interests of the sport of driving Horses, Ponies, Donkeys and Mules to horse drawn vehicles. To educate, promote, motivate and perpetuate the safe use of the equine in harness for, Pleasure, Recreation and Sport, to provide opportunities for all levels of drivers to network and participate in the equine sport of competitive, pleasure and recreational driving the horse in harness. Our meetings are informal, educational and fun. We meet on the fourth Sunday of each month and most meetings are held at Barbara Kroboth's Argonaut Farm. Around 10:00 or 11:00am Members are available to help with any questions you may have in putting your horse to a cart, or you can use the time to just work your horse in the arena. We break around Noon for lunch. Everyone brings a potluck item to share and this has become so popular we jokingly have thought of changing our name to Hooves and Meals on Wheels! After lunch we have a short business meeting. We discuss plans for the events we host throughout the year including, clinics with various driving clinicians, and recreational events. We have lots of events and activities such as an Overnight Campout and drive in Philo, BBQ-swim party, a Desensitizing Clinic, a Play Day, Parades, a Pizza and Paint party, a Halloween Pumpkin Poker Run, a Truck and Trailer Round-up, a Tack and Yard Sale, and our annual Christmas Party. At the conclusion of our meeting, weather and time permitting, we harness up and go for a drive through the nearby surrounding orchards and vineyards and quiet country roads. 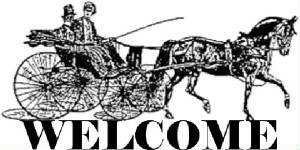 Whether you are a long time whip or a brand new to the sport, please feel welcome to bring your horse, harness, cart, questions, suggestions, and don't forget FOOD, and your own drinks, to our next meeting. We are a friendly family club so children and dogs are most welcome, if well mannered. Owning a horse and cart is not mandatory. We have several members who just like to hang out with our club!